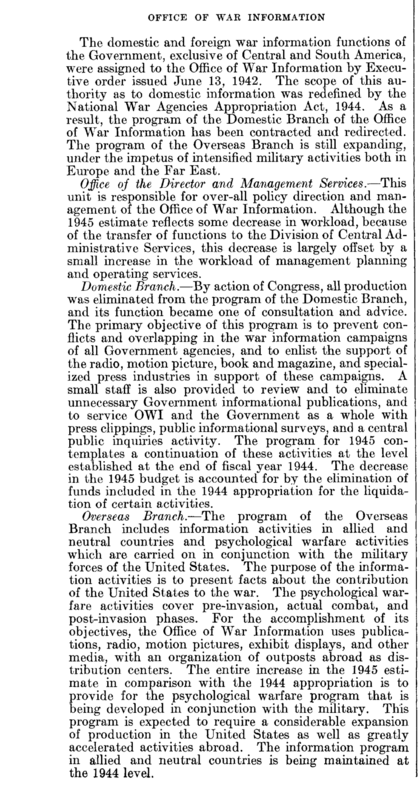 Office of War Information, O.W.I., was created in June 1942 during World War II as a propaganda and psychological warfare agency of the Executive Branch, targeting both domestic and foreign audiences. Its director, Elmer Holmes Davis, reported directly to President Franklin Delano Roosevelt. O.W.I. Overseas Branch included the Voice of America, VOA, radio broadcasts, which were strongly pro-Soviet throughout the war, with any negative news about the Soviet Union censored out. These O.W.I. 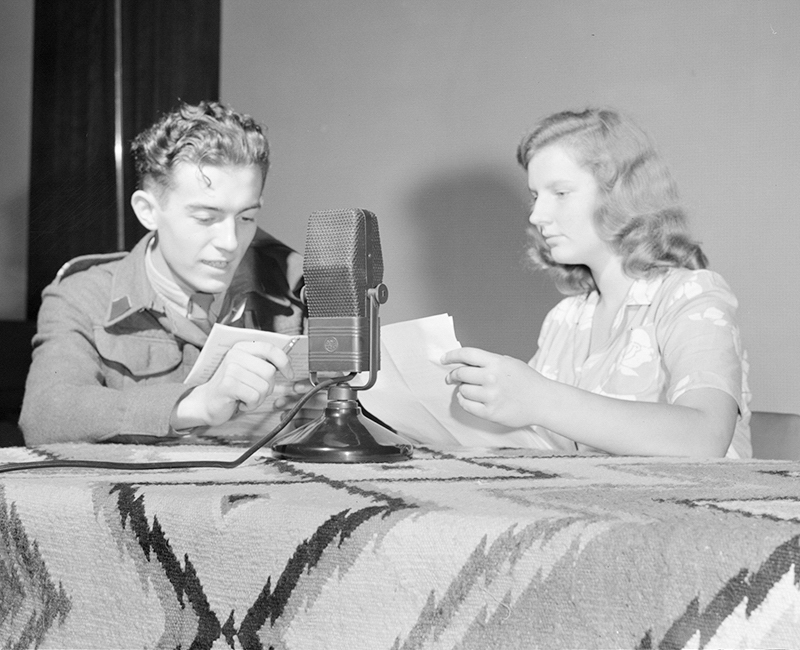 radio broadcasts were not commonly referred to during the war as Voice of America or VOA programs, but the Voice of America name was eventually adopted. The O.W.I. was viewed with great suspicion by Congress and often criticized for attempts to censor U.S. media, pro-Soviet propaganda at home and abroad, mismanagement, and questionable quality of its programs. It also had a few supporters, mainly among the most pro-Soviet members of Congress. Because of numerous controversies, President Truman abolished the O.W.I. by executive order on August 31, 1945 and placed VOA within the State Department. The Smith-Mundt Act of 1948 tried to address some of the abuses of the wartime O.W.I. and VOA management. The legislation put restrictions on propaganda by the Executive Branch in the United States and tried to prevent hiring of foreign agents as VOA broadcasters by requiring strict security clearances for VOA personnel. The move to the State Department and the departure of the pro-Soviet O.W.I. staff shortly after the end of WWII helped to establish some journalistic credibility for VOA during the Cold War. In 1953, VOA was again moved, this time to the newly established United States Information Agency (USIA). In the late 1940s and early 1950s, VOA was viewed as less than fully effective in countering Soviet propaganda. This led to the establishment of Radio Free Europe and Radio Liberation (later renamed Radio Liberty) in the early 1950s under then covert management of the Central Intelligence Agency (CIA). The domestic and foreign war information functions of the Government, exclusive of Central and South America, were assigned to the Office of War Information by Executive order issued June 13, 1942. The scope of this authority as to domestic information was redefined by the National War Agencies Appropriation Act, 1944. As a result, the program of the Domestic Branch of the Office of War Information has been contracted and redirected. The program of the Overseas Branch is still expanding, under the impetus of intensified military activities both in Europe and the Far East. Office of the Director and Management Services.—This unit is responsible for over-all policy direction and management of the Office of War Information. Although the 1945 estimate reflects some decrease in workload, because of the transfer of functions to the Division of Central Administrative Services, this decrease is largely offset by a small increase in the workload of management planning and operating services. Domestic Branch.— By action of Congress, all production was eliminated from the program of the Domestic Branch, and its function became one of consultation and advice. The primary objective of this program is to prevent conflicts and overlapping in the war information campaigns of all Government agencies, and to enlist the support of the radio, motion picture, book and magazine, and specialized press industries in support of these campaigns. A small staff is also provided to review and to eliminate unnecessary Government informational publications, and to service OWI and the Government as a whole with press clippings, public informational surveys, and a central public inquiries activity. The program for 1945 contemplates a continuation of these activities at the level established at the end of fiscal year 1944. The decrease in the 1945 budget is accounted for by the elimination of funds included in the 1944 appropriation for the liquidation of certain activities. Overseas Branch.— The program of the Overseas Branch includes information activities in allied and neutral countries and psychological warfare activities which are carried on in conjunction with the military forces of the United States. The purpose of the information activities is to present facts about the contribution of the United States to the war. The psychological war fare activities cover pre-invasion, actual combat, and post-invasion phases. 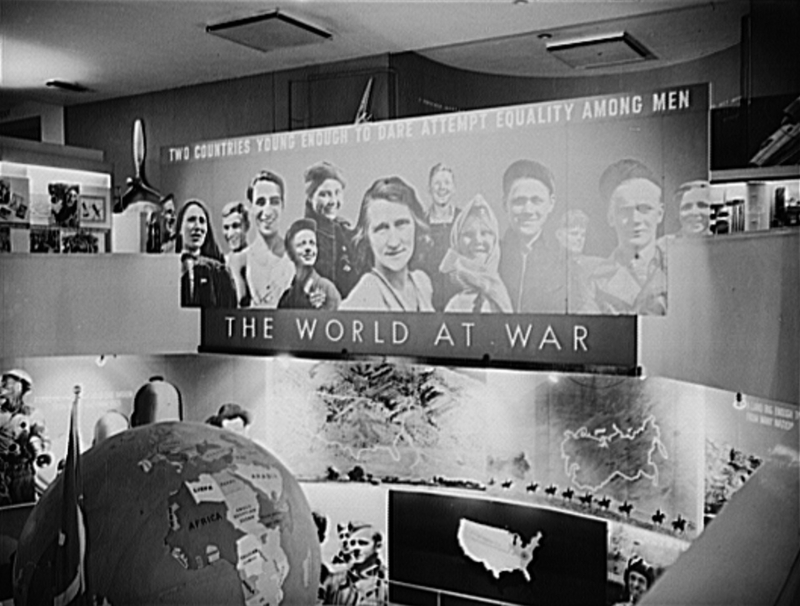 For the accomplishment of its objectives, the Office of War Information uses publications, radio, motion pictures, exhibit displays, and other media, with an organization of outposts abroad as dis tribution centers. The entire increase in the 1945 estimate in comparison with the 1944 appropriation is to provide for the psychological warfare program that is being developed in conjunction with the military. This program is expected to require a considerable expansion of production in the United States as well as greatly accelerated activities abroad. The information program in allied and neutral countries is being maintained at the 1944 level.